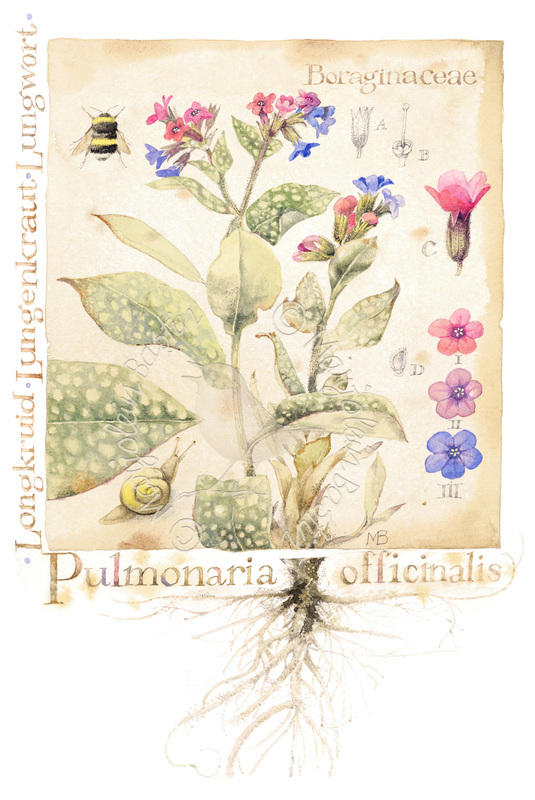 This could be a page from a century-old book about the healing powers of herbs that can be found in the garden of the abbey. But instead it is lungwort from my own garden and it is almost blooming. Even now not all medications come from a chemical factory. Thirty percent still comes from nature! To this day new plant species are discovered – although it is also true that unfortunately some go extinct before they are carefully examined. Those species now extinct will never return. It resembles a beaded necklace, you just can’t remove one of the beads. The beads…the necklace…that is biodiversity.